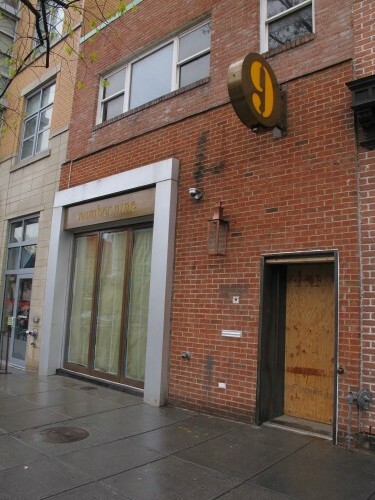 PoPville » Dear PoP – What is Number 9 Coming to 1435 P St NW? Dear PoP – What is Number 9 Coming to 1435 P St NW? Number Nine is the ninth (and newest) offering from the partnership that has given Washington, D.C.’s gay community a history of substantial nightlife options for over two decades. Number Nine is located in the middle of everything in the heart of Logan Circle right across from Whole Foods. Though it was formerly a bar, it has been totally stripped, renovated, and recreated as a completely new and classic space. The venue has two floors, tremendously plush, comfortable, and inviting appointments including extensive seating, sumptuous marble bars, hardwood floors, a fireplace, and state of the art sound and lighting. * We open every day at 5pm. * Happy Hour is from 5-9pm every day. * All drinks are 2 for 1 during Happy Hour. * We do not charge admission. * We do not have a dress code. * We do not have different “theme nights” or rotating drink specials that you need to keep track of.